In an atmosphere where the Syrian regime backed up by Russia and Iran is indispensably expected to carry out an operation in Idlib, Turkey and Russia took an initiative and put the Sochi agreement, that envisages the continuation of the cease-fire, into force . Although this agreement was an important diplomatic success, it has faced serious difficulties in its implementation in the field, because, especially for Turkey, the agreement’s provisions extremely hard to achieve. According to its main requirement, the agreement created a demilitarized zone up to 20 km in depth in Idlib in which the fighters belonging to the moderate opposition groups, who have a control over the disarmed zone, would remain in the region, but withdraw their heavy weapons from it. Moreover, The HTS and its affiliated groups have to leave the region with all their elements by the mid of October 2018. Using its influence on the opposition groups, Turkey ensured the withdrawal of heavy weaponry from the region within the specified period of time. However, the complete withdrawal of HTS, the most powerful group in Idlib on which Turkey’s influence is limited, and its affiliated groups from the region could not take place within a specified period. The Russian side agreed that the process was progressing in a positive way although the commitments were not met in a timely manner. On the other hand, the Russian side was not able to put required pressure upon the Syrian regime in conformity with the Sochi Consensus. 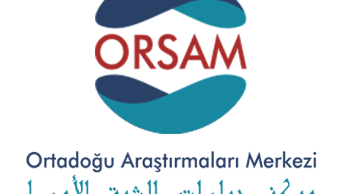 Since the signing of the agreement, the Syrian regime has committed dozens of violations by targeting opposition forces in western Aleppo and northern Hama. Even though there have been tensions between the regime and the opposition in the field, the cooperation between Russia and Turkey has led to contain the tensions before reaching point of no return. Knowing that the cost of ending the consensus would be more severe, both actors have been flexible with some difficulties in the field. However, Russia conducted a limited airstrike on some area based on claiming that oppositions used chemical weapons. Nevertheless, the Sochi consensus stands on a very fragile ground. There are three main reasons for that. Firstly, the violations committed by the Syrian regime to the Sochi agreement. Secondly, the infighting among opposition factions in Idlib, particularly, the ongoing clashes between the HTS and the Nour al-Din al-Zenki. Finally, the refusal of the radical terrorist groups, such as Hurras al-Din, to the Sochi accord, who work on undermining the entire process. In other words, there are spoilers in both sides. However, while the spoilers on the opposition side remain marginal and exceptional, the Syrian regime and even the militia forces associated with Iran appear to be critical elements of the instability. Although Iran and Assad regime have declared their satisfaction with the Sochi agreement, it can be said that they are disappointed by the attitude of Russia. For both actors, the expectations were, with the Russia air support, they would completely take control of Idlib. Russia, however, in light of its cooperation with Turkey, has agreed on a long-term solution to the Idlib problem. Since then, Assad regime and Iran have tried to keep the tension in the field high in order to undermine the process and to encourage Russia to take part in the operations. Although Russia showed its willingness to maintain the Sochi agreement, it has overlooked the Syrian regime and Iranian pressure on the opposition and, also, on Turkey. Russia has, thereby, the opportunity to not let Turkey feel comfortable in Idlib and to play "the operation card" from time to time. Despite all of the risks, a full-scale operation against Idlib is less likely to take place. It would be extremely costly for both Turkey and Russia. 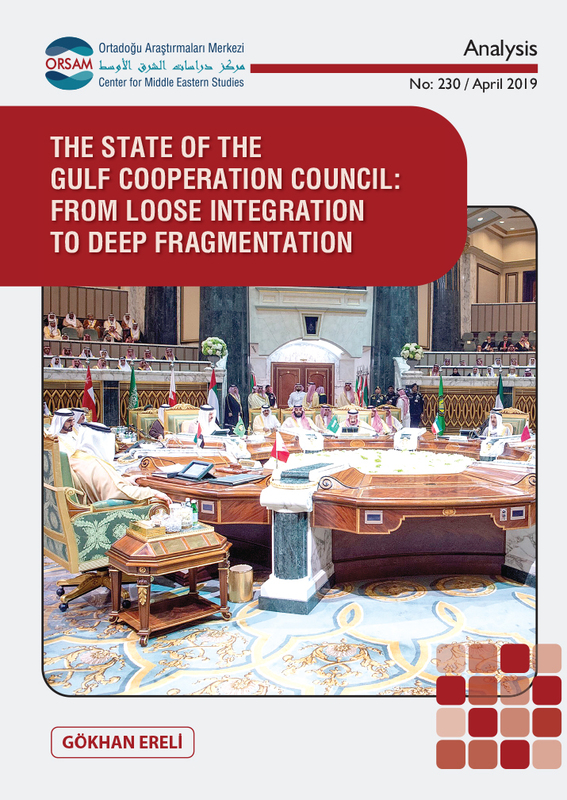 The parties will be continuing to warn the violations, keeping the pressure on each other, but, at the same time, will not let the tensions reach a point that will destroy the negotiation process. The final declaration of the last Astana Summit, which was held on 28-29 November, emphasized the commitment to the Sochi agreement and the strengthening of the tripartite coordination. Being able to postpone the Idlib problem, Turkey has paid attention to the east of the Euphrates. 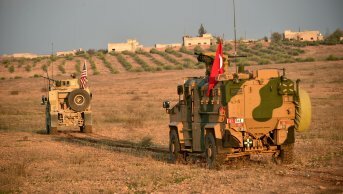 This is understandable especially when we consider that the Turkish priority in Syria is the fight against YPG; nevertheless, it should not be forgotten that an accident to be experienced in Idlib would extremely weaken the Turkish position in the east of the Euphrates and, in general, in Syria. Therefore, the time that will be gained on Idlib should be effectively used. 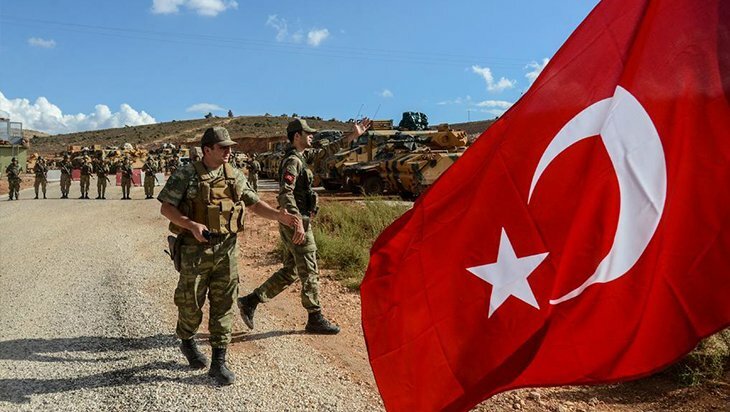 A potential Turkish achievement in Idlib would completely eliminate the possibility of carrying out a military operation in the future. 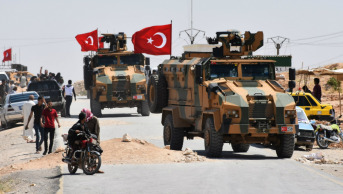 When risks such as the influx of refugees and the spread of instability in Turkey are considered, it is seen how much the elimination of a military operation is vital for Turkey. 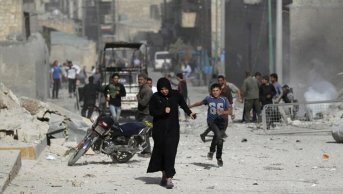 What is meant by a Turkish achievement in Idlib is; taking measures to weaken and ultimately eliminate the terrorist elements which are few but effective in the region; establishing a local government that should have legitimacy at the local and international level, putting an end to infightings between the opposition groups that destabilize the region, and finally maintaining and then increasing the efforts to meet the basic needs of the local population along with the international community. From this perspective, it can be asserted that there are some challenges before Turkey. The most important one is the radical positions of some terrorist elements, especially Hurras al-Din, which has not accepted any political solution. Turkey has adopted an approach which aims to weaken these organizations over time without directly confronting them to not jeopardize the stability in Idlib. Also, Turkey has exerted a pressure on these groups through their respective opponents and through the breakdown of these groups from within. However, in an environment where the Sochi agreement is increasingly getting fragile, Turkey may have to resort to use force against these groups. Turkey's reluctance to directly face radical groups is understandable. Because it has a military presence in the region and any clash would put its soldiers in an insecure environment. Besides, a military operation can light the fuse of a deep instability in Idlib and this would mean that all Turkish efforts to establish order in Idlib go down the drain. At this point, Russia's air strikes may facilitate Turkey's objective if they follow some basic principles. In case that the Russian strikes cover only radical terrorist groups, no civilians suffer from them and they are carried out in a coordination with Turkey. That, in turn, would strengthen Turkey’s efforts to prompt the radical groups to reconsider their maximalist positions. Already in the earlier period, that Turkey and Russia act together, limited but effective, against terrorist groups in Idlib was on the agenda. The second difficulty Turkey should deal with in Idlib is the struggle against HTS, the group which claimed to have cut its links with al-Qaeda. In the recent period, HTS has taken steps that both strengthen Turkey’s hand in terms of the Sochi agreement and consolidate its own political and military position in Idlib. HTS made a statement that reveals the possibility that it would support the Sochi consensus, even if it was conditional. Indeed, the HTS has shown that it is trying to prevent the deterioration of the Sochi memorandum with some of its actions in the field. The most striking example of this was that HTS prevented the attack planned by the Hurras al-Din group in the regions controlled by the regime forces. However, HTS and its affiliated groups are still unwilling to evacuate their places in Jisr ash-Shugur and eastern Idlib. Moreover, HTS is currently taking critical steps to increase its bargaining power against Turkey and have a say in Idlib’s future. The most important among them is the HTS efforts to take control of the M-4 highway linking Damascus to Aleppo and some other critical transition points from the Turkey-backed moderate opposition. However, the most interesting action for the HTS is its attempt to position itself as a civil and political actor in Idlib, beyond being military. In this context, the HTS is trying to control the civilian government, the economy and the field of education in Idlib. The evolution of the HTS from a radical line to a more pragmatic point can be seen as an opportunity in certain respects. That can provide HTS, the most powerful group in Idlib, and its Syrian elements, a way out. However, it is obvious that a HTS control on Idlib will be welcomed neither by Turkey nor by the international community. Therefore, Turkey must take a position in Idlib with the purpose of balancing HTS activities in the military and civilian areas. How to untie the Idlib knot?